THE up-to-date forecasts for global trade dispensed by the World Trade Organization demonstrate a condition which could be labeled as bland — the lethargic growth in the capacity of world trade recorded over the past two years is probable to continue through 2017. The statistics may not be very thrilling, but they do show progresses in worldwide trade which are worth emphasizing, including for Pakistan. First, the WTO is predicting development in world produce trade of 2.8pc this year, unaffected from 2015, and 3.6pc growth in 2017. Imports of advanced countries, which increased trade growth last year, should temperate in 2017 while call for imported goods in emerging Asian economies is predictable to pick up. The good news is trade is still registering positive growth, but we have now had four straight years of trade growth under 3pc compared to the 5pc annual average since 1990. And we must acknowledge that the risks to our forecast are mainly on the downside; a sharper than expected downturn in the Chinese economy, worsening financial market volatility, and exchange rate volatility hitting countries with large foreign debts could send the projected figures tumbling. Second, the Asian motor that propelledglobal trade growth since the 2007-2008 financial crises has been sizzling. Nearly three-quarters of the growth in global trade for 2013 came from Asia, but in 2015 this share slipped to less than a quarter, with the economic downturn in China the main culprit for the decline. Again, there is some good news in that we expect Asia to return to its role as the engine of trade growth with 3.4pc growth in exports in 2016. Pakistan should contribute its share, with the country’s economy expected to grow by 4.5pc this year and 4.8pc in 2017, according to the Asian Development Bank. This moderate development is rather unusual, but so were the high degrees of global trade development we saw before the 2007-2008 financial meltdown. We should not imagine a return to that kind of growth in the near future, particularly as the red-hot economies of China and other developing economies commence to trend towards more regular rates of expansion. The condition is not dire, but we shouldn’t be smug. 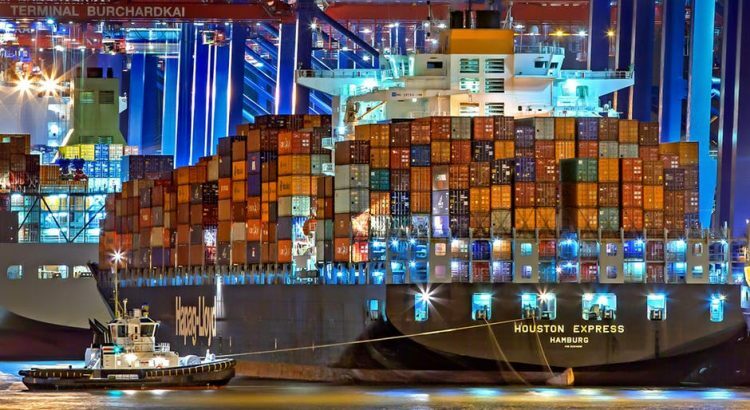 With governments running out of policy decisions on the monetary and fiscal side, WTO fellows should look more at the substantial arsenal of trade policy actions at their disposal to increase economic growth, development and job creation. One immediate stage WTO associates can take is to roll back trade-preventive procedures put in place since the financial crunch. The WTO has been frequently checking the trade-obstructive measures that associates put in place. Another instant step that we can take is to device the new WTO Trade Facilitation Agreement. This arrangement is noteworthy: the economists guess the TFA could cut Pakistan’s trade costs by about 13pc and increase global trade by up to $1 trillion a year. To drive that into perspective, this is a superior impact than removing every residual tariff around the world. By decreasing Pakistan’s trade costs, the TFA can aid in boosting the country’s incorporation into what is called global value chains. Progressively, the manufacture of goods is conceded out in different levels across various countries. The classicmobile, for example, may have portionsobtained from more than half a dozen nations — receiving these inputs in and out of marketplacescheaplyand quicklyhas become asignificant driver of trade. The WTO remarkedin its 2015 Trade Policy Review of Pakistan that Pakistan has taken some careful steps towards trade liberalization but that general tariff levels persist high, which can obstruct the addition of Pakistan into global value chains. Focusingon these barricades would not only lift economic growth but also assist the country to expand its outdated reliance on textileand agriculturaland clothing exports. Pakistan was an active member in the TFA discussions.The traders stand ready to help Pakistan in its efforts towards application. The global traders welcome the fact that Pakistan has already taken optimistic steps in this course, such as founding a National Trade and Transport Facilitation Committee. The former will help to equalize the playing turf in agriculture to the advantage of agriculturalists in Pakistan and other emerging markets. The latter will guarantee duty-free admittance to 95pc of world markets for enclosed products, counting those exported from Pakistan.